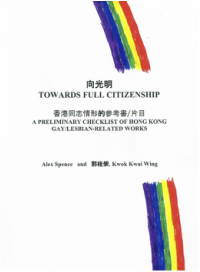 Towards Full Citizenship is a bibliographic overview of the LGTBQ situation in an Asian context. More than 1,600 references specific to Hong Kong LGTBQ are included, covering a broad range of disciplines and roughly half a century of sources, up to mid-2016. Information is included to track works in literature and the arts, academic studies in books and journals, general-interest magazines and newspapers, surveys and polls, films, television reports, and websites. 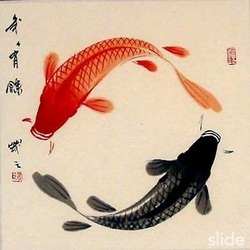 The compilation includes both Chinese- and English-language works, and also items by anti-gay-rights writers. Arrangement is primarily by subject, with some sections (such as newspaper articles and films) given chronologically for a sense of historical progression. Toronto; CTEFLA, UK) who has written articles on LGBTQ issues (Library Quarterly, Public Libraries) and compiled a number of LGBTQ bibliographies and indexes, including Gay Canada, a bibliography (2009) found on the Saskatchewan Resources for Sexual Diversity website, hosted by the University of Saskatchewan Library. Kwok Kwai Wing, Spence’s late life partner, was a Hong Kong native whose insights and language instruction over so many long and happy years made this project possible. This interactive timeline traces Hong Kong’s LGBT history from 1865 to the present day, hosted by Pink Alliance. This chronology covers people, events and culture of interest to LGBT people. It is designed to provide a launching pad from which to explore the vast depth and complexity of what Christopher Isherwood happily labelled "our tribe".